Gatorade: its popular red flavor can stain the whitest fabric, and its sweet taste is oddly refreshing after breaking a sweat. If you've ever participated in a sport, you probably spent halftime at games and practice breaks chugging the stuff. Though it made its name as a sports drink, Gatorade is also a well-known hangover helper—but its beneficial and interesting uses don't end there. The brightly colored drink can do so much more than just hydrate you. But What About That BVO? You might remember Gatorade making headlines in the past year or two when it came under fire for using a reputedly unhealthy substance: brominated vegetable oil (BVO). Banned in Europe, BVO is both a food additive and flame retardant. With frequent ingestion, BVO can build up in breast milk, leading to memory loss, hormonal changes, earlier puberty, and decreased fertility in those who ingest it. In January 2013, Gatorade's parent company, Pepsi-Co., announced that they would remove the controversial ingredient—so you can rest easy knowing your sports drink is BVO-free, whether you're going to drink it or not. Whew! Gatorade is now safe to drink, and it turns out it's also pretty useful around the house. Looking for a new way to clean your bathroom? That Gatorade in your fridge might become your go-to tool. As Joey Green points out in his book, Joey Green's Cleaning Magic, the citric acid in the beverage makes it an excellent cleaning solution that can get unsightly stains off your toilet bowl. Add two cups of any light-colored Gatorade into your toilet bowl and let the liquid sit for an hour. Once it's ready, grab your toilet brush and give the bowl a scrub. Flush the liquid when you're finished, and you'll be left with a stain-free commode. The symptoms of food poisoning aren't pretty: vomiting, feeling feverish, and stomach cramps all combine to make you feel terrible. While you're clinging to the rim of your toilet, keep a bottle of Gatorade nearby. The sports drink can help flush out what's upsetting your body. According to the Mayo Clinic, drinking Gatorade is a good option to restore the fluid you're losing without wreaking more havoc on your stomach. Drinking Gatorade can ease the pain of sudden and intense muscle spasms, especially if you're dehydrated. When your body is in need of fluids, a sugary drink might sound counterintuitive—but thanks to the sports drink's added potassium and other electrolytes, it's actually a good solution. As Dr. Nicholas Morrissey told the Wall Street Journal, a tough, sweaty workout leads to a loss of fluid in our bodies, which in turn depletes potassium and other important nutrients. Dr. Morrissey suggests using Gatorade to replace that lost potassium and balance out your electrolytes. If you don't have Gatorade handy, eat a banana or drink some coconut water instead. 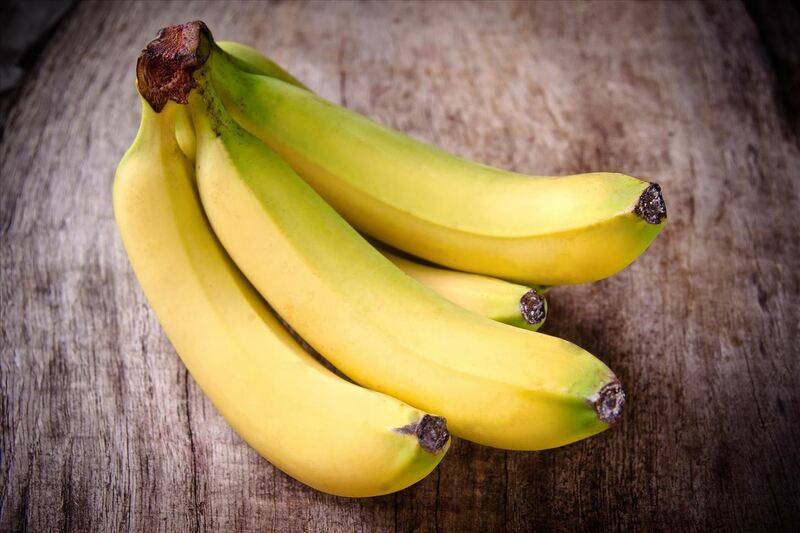 Bananas are rich in potassium (and, bonus, serve as a prebiotic, which aids healthy digestion. Coconut water is naturally high in potassium, too, although it doesn't have super-high levels of other electrolytes. Orange Gatorade might already be your favorite flavor, but you'll enjoy it even more when you discover its ability to make your furniture shine. 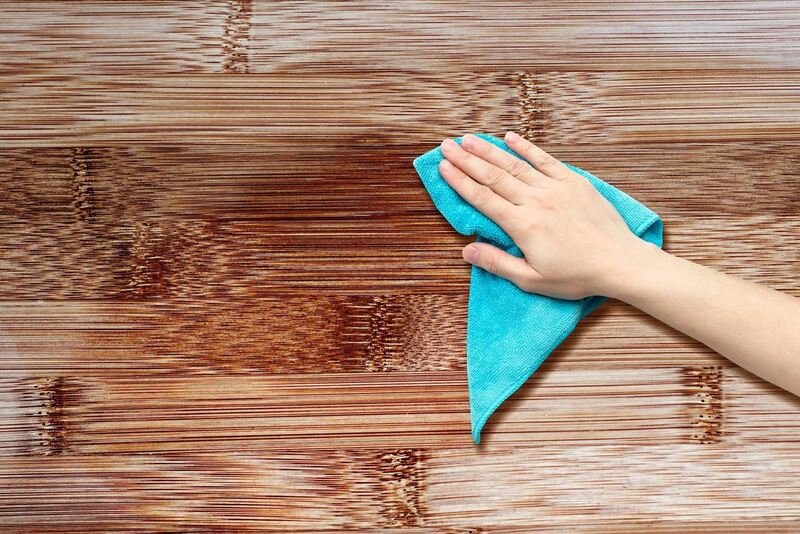 Before you pour an entire bottle of Gatorade on your dining chairs, know that a little goes a long way. Combine the Gatorade with water, creating a 50/50 mix. Pour a small bit onto your wood furniture. 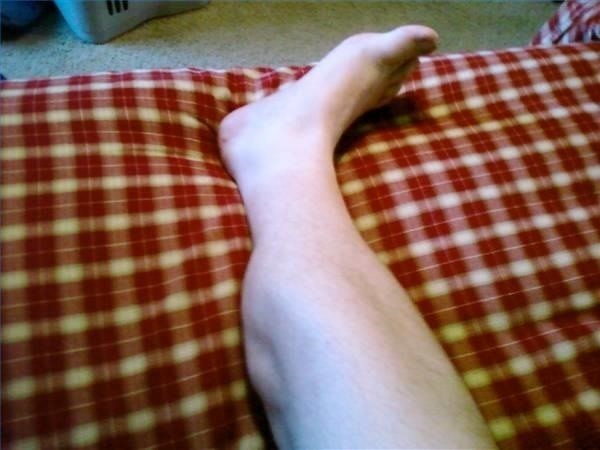 Rub the solution in with a soft cloth, and you'll be left with nothing more than a nice shine. Why does the orange flavor work so well? According to Herbal Medicine Tips, the flavor contains orange extract, which is the same ingredient in furniture polish that does all the hard work. The extract helps revitalize wood, creating a shiny finish. Need to amplify your voice or simply entertain the kids? Grab a pair of scissors and an empty Gatorade bottle, and you have a ready-to-go megaphone. Joey Green, mentioned above for his Gatorade cleaning tips, offers a quick way to turn a bottle into a voice amplifier. Remove the orange cap and use your scissors to cut out the container's bottom. Speak into the bottle's mouth, and you've got your megaphone. 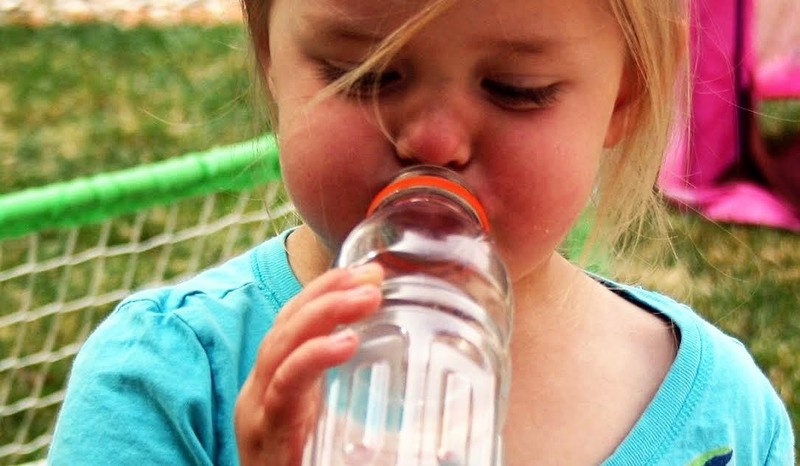 It's best to use a larger-sized Gatorade bottle rather than the water bottle-shaped versions, as the original size is narrow at the mouth and wider at the base like a true megaphone. To stay fresh, food needs protection from intruders such as moisture, air, and hungry pests. Thanks to their airtight, twist-on caps, Gatorade bottles are great at keeping their contents safe from outside elements. Their wide mouths also make it easy to get food in and out of the bottles. 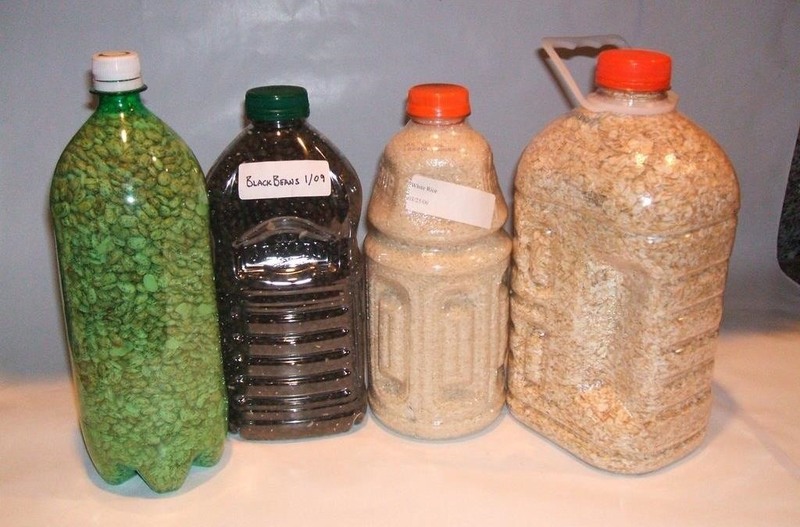 Wacky Uses suggests storing bird seed or pet food in them. You could even cut off the bottom halves and make DIY resealable grain dispensers. Gatorade bottles are also great for keeping brown, granulated, and powdered sugars fresh when you're not using them. Though pricey plastic containers are often touted as the best solution, an empty gallon-sized Gatorade bottle can save your sugar and wallet. Gatorade bottles are especially helpful for those of us who tend to forget what we've put in various containers. With their clear walls, the bottles make it easy to determine exactly what's stored inside when you're grabbing ingredients. 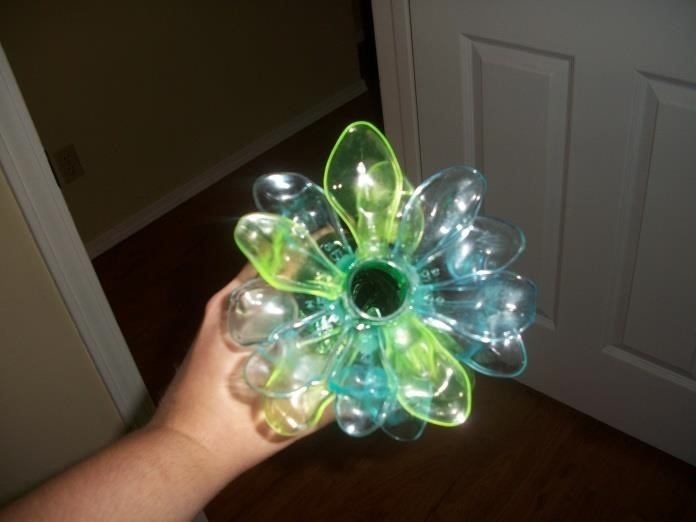 While many empty plastic bottles can become DIY hummingbird feeders, Gatorade bottles are made of sturdier plastic than most and make excellent food receptacles for our fine feathered friends. Plus, as World of Hummingbirds points out, the larger mouth on Gatorade bottles makes them easier to clean and maintain. Get their instructions on how to make a feeder here. You can also watch the video below from Shawn Zentner below. One caveat: ignore the video's suggestion of using red food dye for the sugar water solution that the birds will actually eat. It can harm their digestive system. You could also just make regular bird feeders, too. You know, the seed types. The next time you head to a banned booze zone such as the beach, use a bottle of Gatorade to hide your adult beverage. Mix vodka with any flavor of Gatorade, and you have the perfect to-go drink—and no one will suspect a thing. These "Russian sports drinks," as they're known in Los Angeles, maintain the Gatorade's bright color so it looks as though you're sipping an unaltered drink. Bonus: mixing your booze with Gatorade could help stave off a hangover. No one likes that morning-after feeling, and Gatorade can do wonders for a pounding head and queasy stomach. Tossing back a few drinks mixed with Gatorade might lessen your chances of feeling awful when you wake up. Stuck in the woods without a flashlight? If you have an empty Gatorade bottle lying around, you have a ready-made lantern, according to Stephen Bischoff of Shameless Traveler. Unlock your smartphone's screen, or use a flashlight app if you have one. Place the lit phone beneath the Gatorade bottle. Your surrounding environment should immediately become better lit, thanks to the bottle's light-distributing qualities. The Gatorade bottle will send your phone's light beams out in a wider range, helping to illuminate a decently sized area around itself. 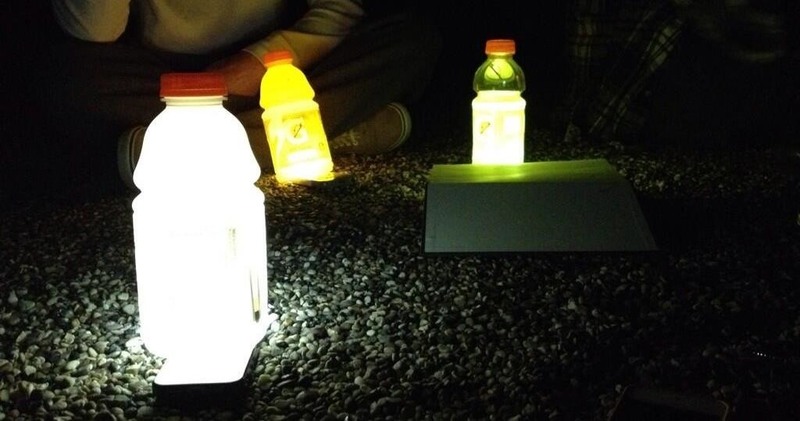 Bonus: you can use a full bottle of Gatorade and create colored lights. Cool, huh? 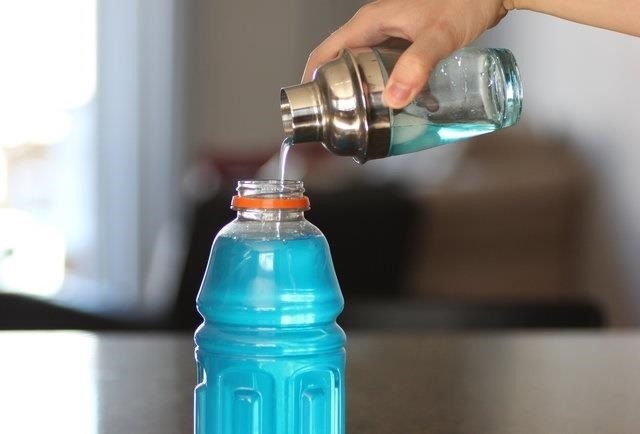 What's your favorite way to use Gatorade?